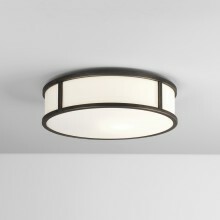 With the perfect square finish, this ceiling light is the yin to your yang. Perfect for the modern bathroom area, this sleek light comes complete with a bronze finish, perfect for neutral living area colours. 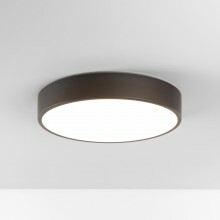 With a white glass diffuser, this fitting will emit a soft, yet illuminated light for your indoor needs. Featuring a double-insulated glass exterior, this IP44 rated bathroom ceiling light is a highly sought-after product which is suitable for use in bathroom zones 2 and 3. 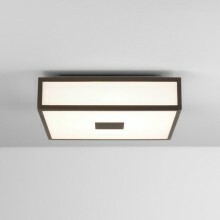 Look no further than this dynamic, yet modern and sophisticated lighting option for all other areas within your property, be it hallways, living, dining or bedroom.